Welcome all pilots and sympathisers on our website. It was created in order to gather all the necessary equipment for a sailplane pilot in one place. We decided to build it in response to numerous questions appearing in the gliding circle - questions related to availability of various instruments and accessories for purchase like e.g. 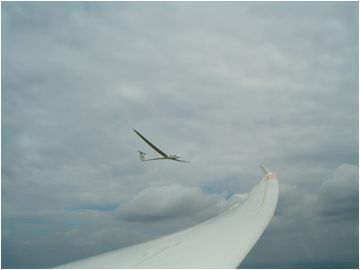 soaring flight/glide computers, variometers/VSIs/RCDIs/VVIs, flight loggers/recorders, on-board radio transceivers, transponders, as well as complete gliders with accessories to them such as e.g. wing support stands, transport systems, covers etc. We are representing on Polish market a world-famous company, manufacturer of wide variety of gliders marked by Schempp-Hirth GmbH. We are also an exclusive representative in Poland of many manufacturers of glider equipment like for instance: HpH Ltd., LX Navigation, LX NAV, Winter GmbH, Mountain High EDS, Cobra trailer-Alfred Spindelberger GmbH, ESA-systems. We also are manufacturing our own design multi-seasonal COVERS which are developed with suggestions from other pilots. We are offering a manufacture of such custom designed covers for any type of sailplanes. In our offer you can also find products from other manufacturers that we are selling at manufacturer's prices on Polish market. Our dream is to make the website living and co-edited with your help as well. See you on an airfield or under some cumulus clouds.